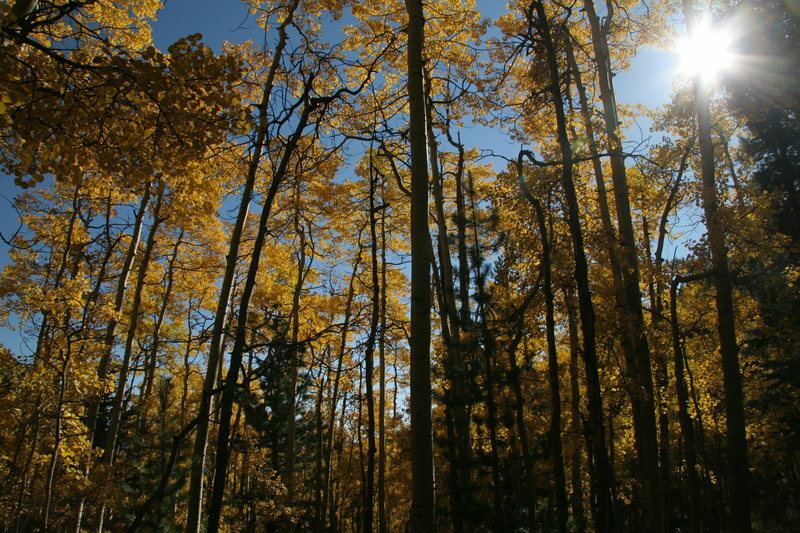 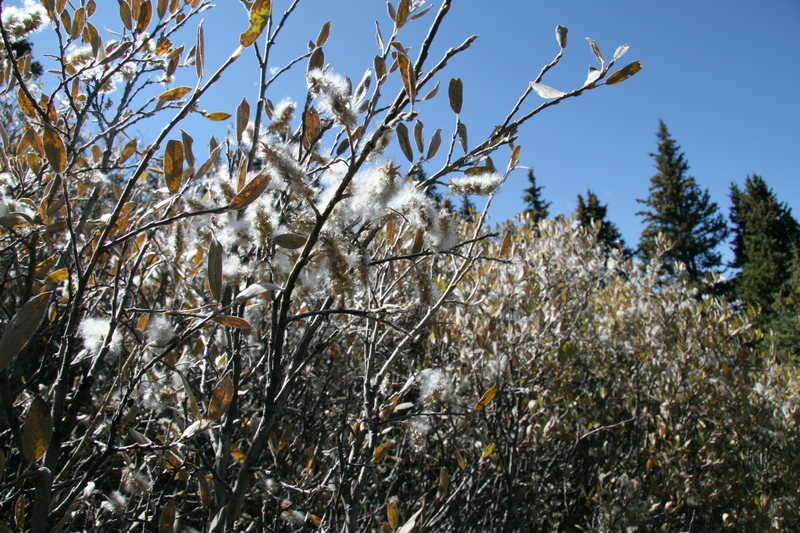 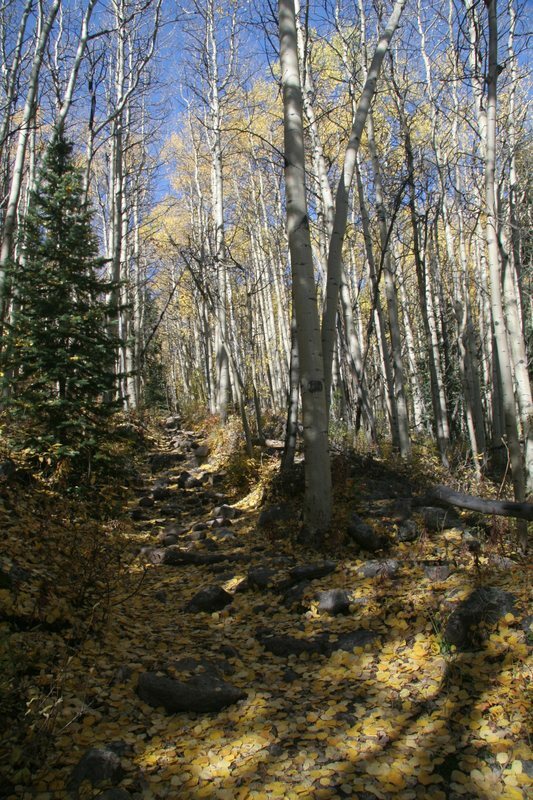 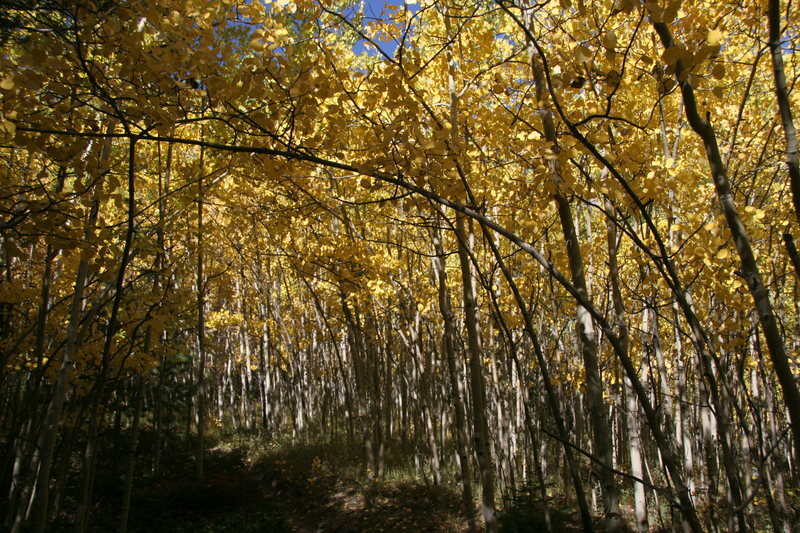 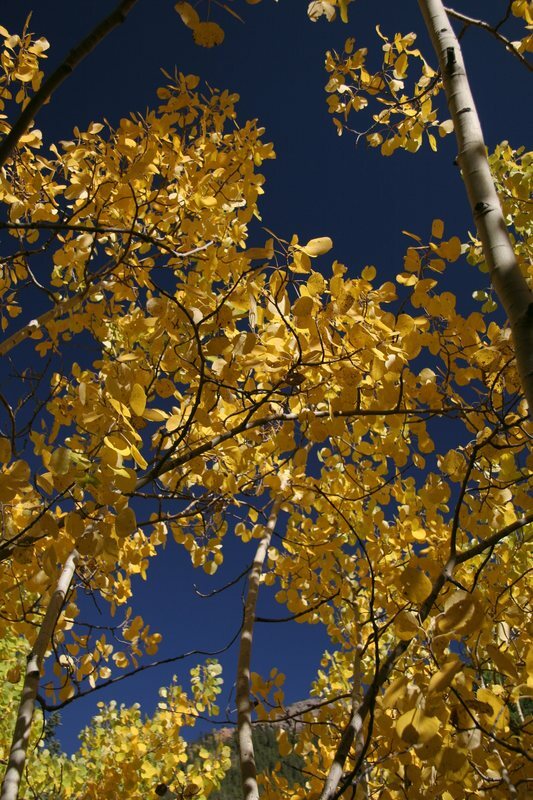 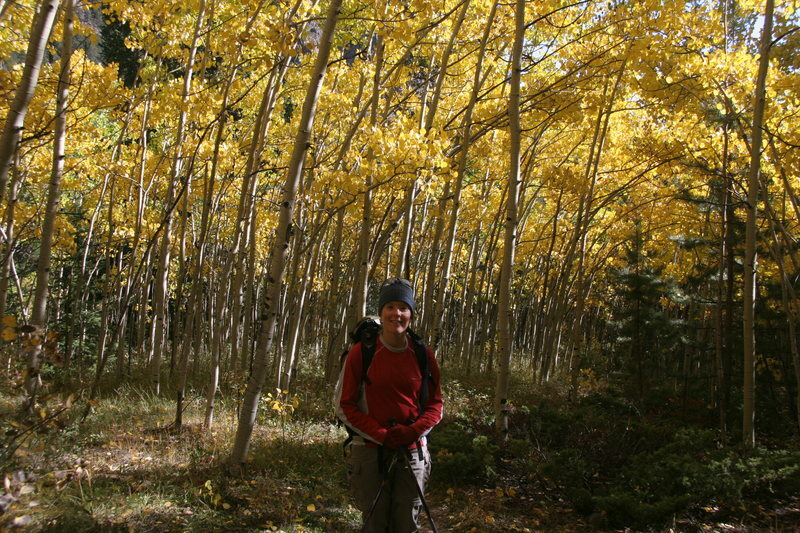 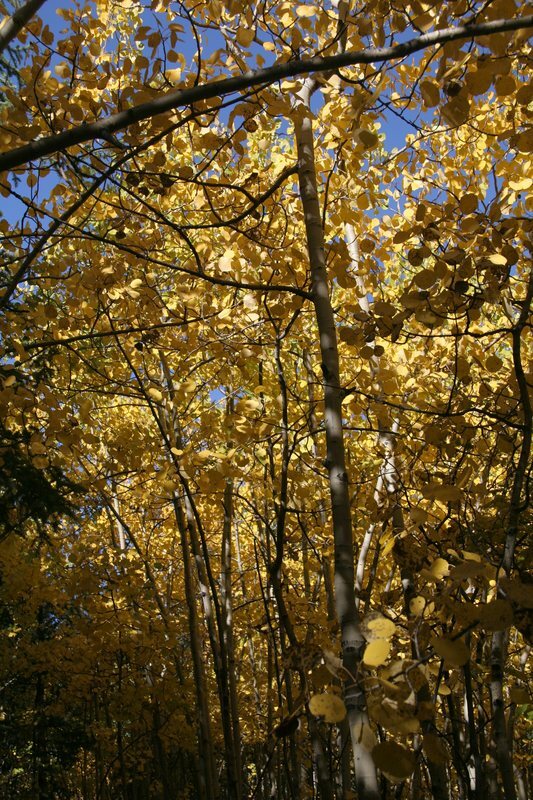 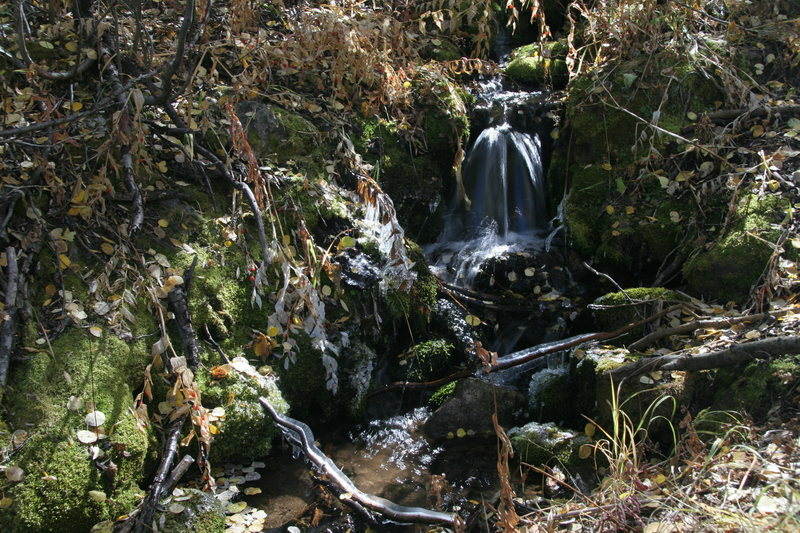 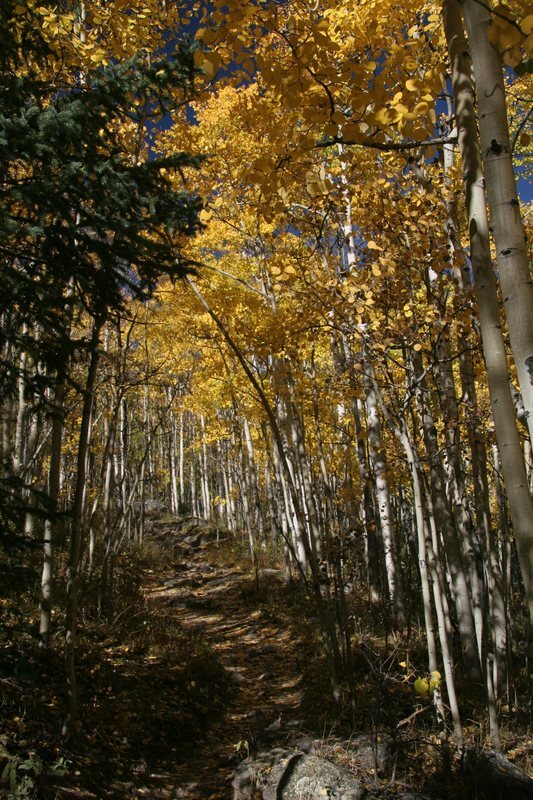 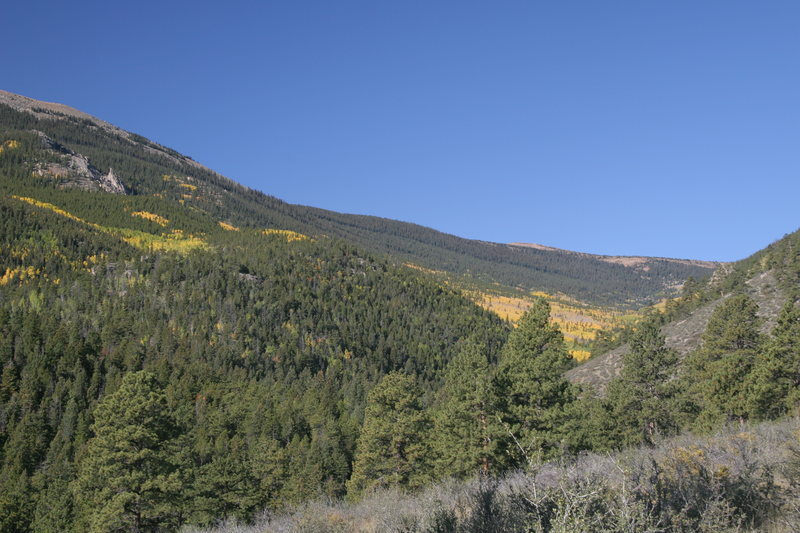 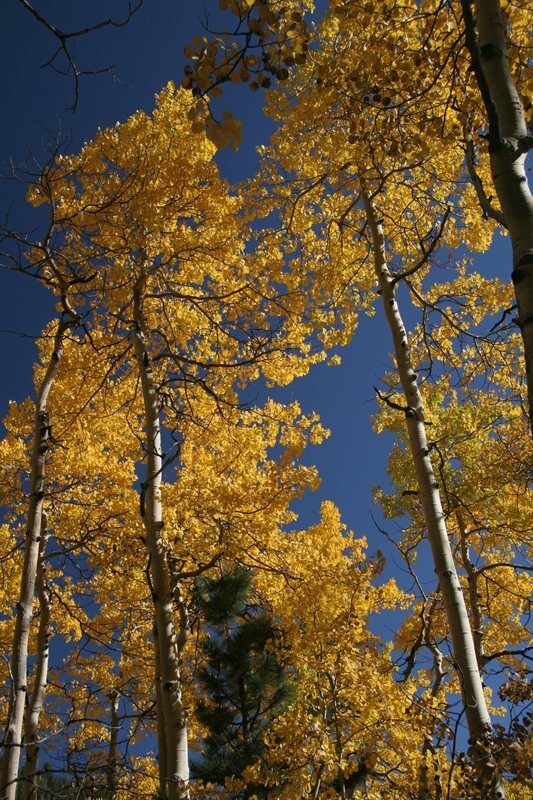 Aspens turn a fantastic shade of yellow in the fall, but the color phase is very brief. 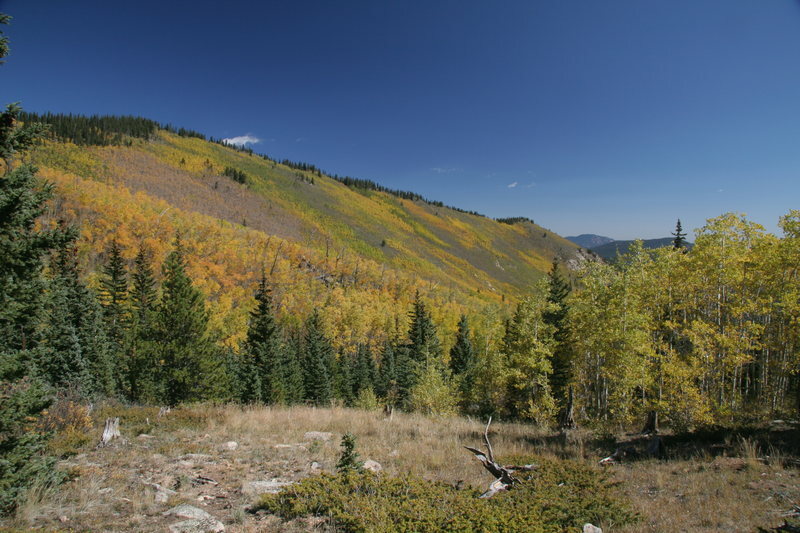 We got lucky this year and caught Ben Tyler Gulch outside of Baily Colorado a pretty much peak color. 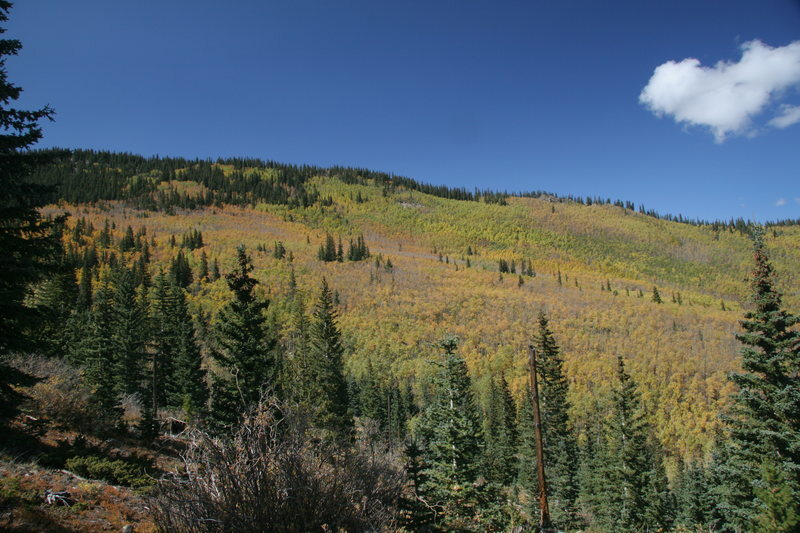 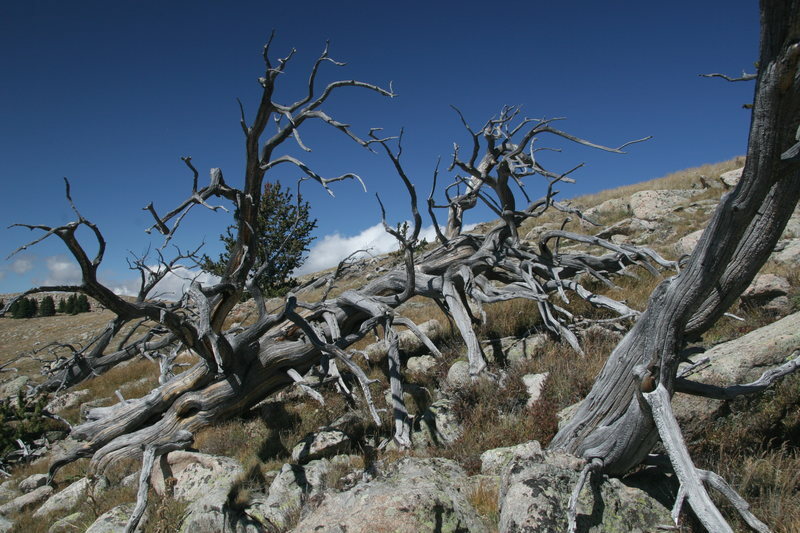 Even then, the Aspens at the base were still green, and the ones on top, 3500 ft higher, had already turned and blown clean. 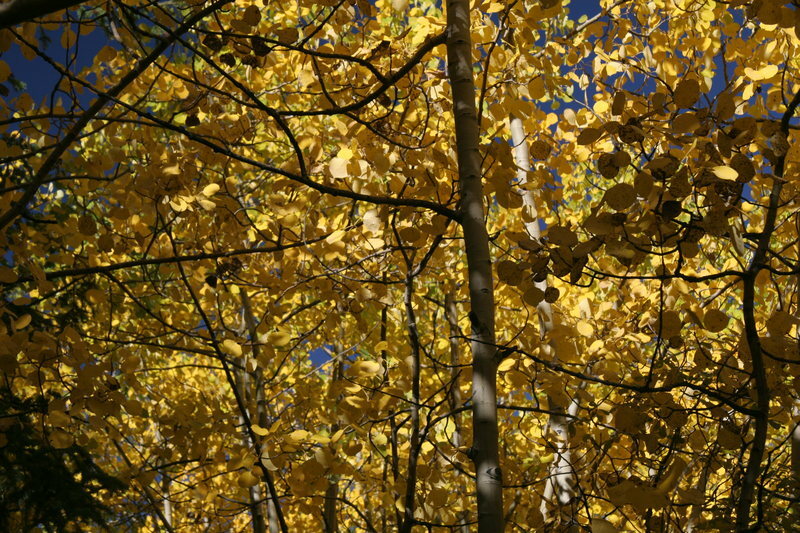 In the middle at least, it's a color saturation festival. 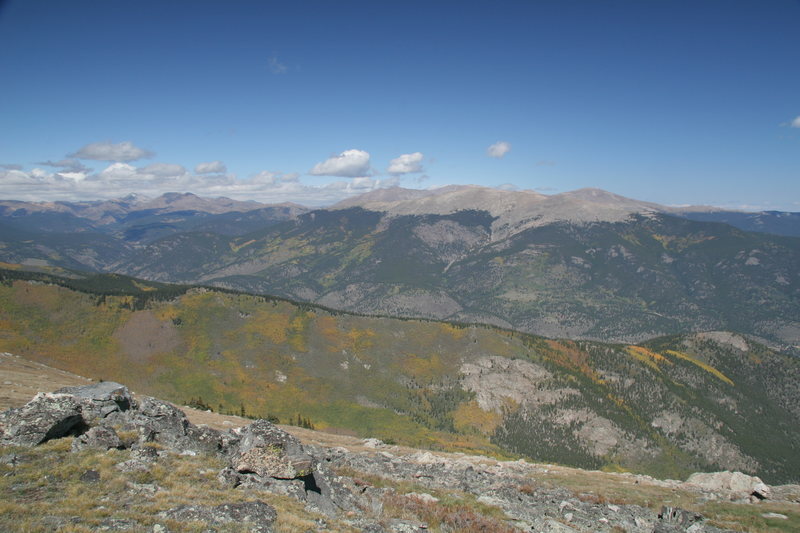 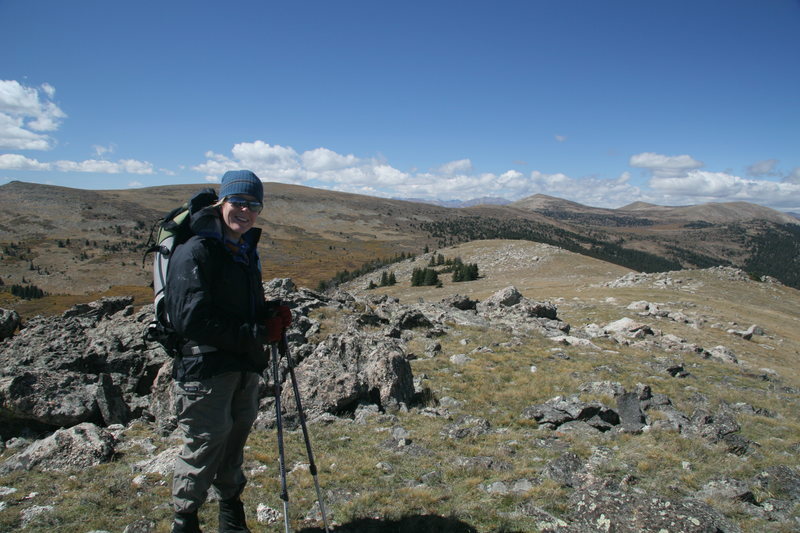 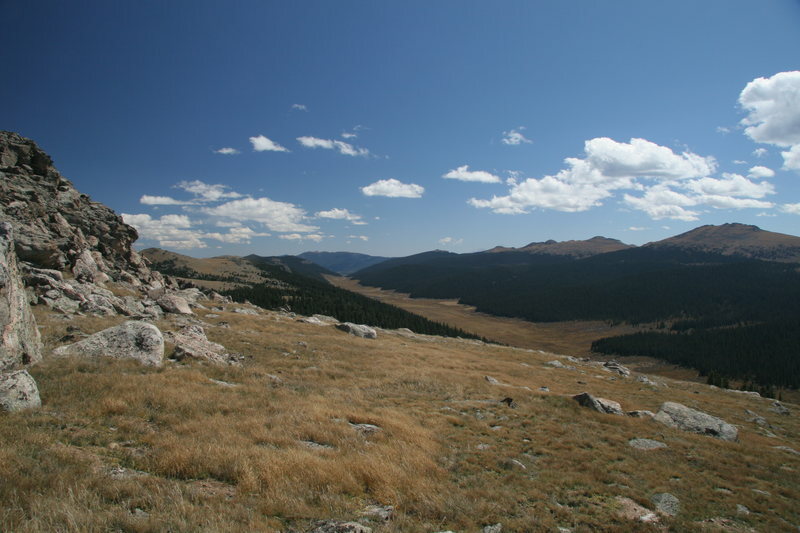 Fall is setting in fast; a dusting of snow already on the highest peaks, and here at just over 12,000 ft, the noon time temperature never broke freezing.